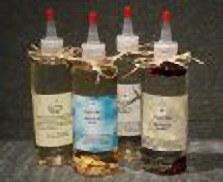 Made with the finest essential oils, select herbal extracts and natural oil carrier bases these oils are suitable for deep tissue massage and Aromatherapy treatments. Ocean-This delighful oil is light Grapeseed based with the calming, tranquil sensation of Coconut and Chamomile essential oil. Garden-This wonderful oil is Sunflower based with the nurturing scent Bulgarian Rose, White Gardenia and French Lavender essential oils. Meadow-This alluring oil is Safflower based with the soothing aroma of Oriental Sandalwood and aromatic Juniper essential oil. Woodland-This pleasing oil is Sweet Almond based with the centering combinations of Baltic Cedarwood and Canadian Pine essential oils. Water soluble based lotion, provides good, smooth absorption with long-lasting staying power. Great "Glide" for massage, as a moisturizer, and a skin hydrator. Blended with healing Essential oils. Choose from: Ocean Breeze, Citrus Twist, Lavender Fields or Romantic Glow. Earthlite's Massage Oil is water dispersible. It washes easily off linens, clothes and your client's body. No more stained or rancid smelling sheets. Our massage oil has a silky feel and glide. We have added vitamins A, E and C to repair, nourish and moisturize the skin. Earthlite multi-purpose Massage Creme with pure lavender essential oil is the perfect alternative to massage oils and massage lotions. It is long lasting and has the glide and feel of oil with the absorption of a lotion. Your client's skin will feel soft, smooth and silky without any residue. Pure lavender oil helps create a feeling of well being, peace and love and may be beneficial for many skin conditions. We have added vitamins A, E, and C to repair, nourish and moisturize the skin. Pure ingredients and integrity make a difference you can feel. Based on the Tantric school of thought. Tantric combines the principles of yoga and meditation to weave together sensuality and spirituality. It is rooted in ancient Hindu and Buddhist texts and practices dating back to the sixth century A.D. Tantra is honest communication, creating intimacy and realization. Realization that your self is infinite and beyond space and time. Realization that leads to complete peace of mind and contentment. It does not require you to change your spiritual beliefs in order for the process to work. This wonderful kit includes "How to Give a Sensual Massage", an "aromantic" 6 oz. bottle of our "Garden" Massage Oil (with Rose petals, Lavender buds, French Lavender, White Gardenia and Bulgarian Rose essential oils), a Botanical Candle, a 25 pack of our incredible Incense called "Aphrodisia " (burn this exotic blend of rare flowers, resins, and oils. A scent, like its name, to be remembered for its spell of love, rich in roses and musk) and a FREE GIFT! This massage kit is for anyone wanting to learn the Art of Sensual Massage. Wremedy Wrap-This guide is full of great tips, remedies, recipes and spa secrets for creating great looking skin, soothing and pampering your body and easing your mind! The Eye Mask-This durable eye mask can be used over and over to soothe tired eyes, reduce puffiness and calm the capillaries around the perimeter of the eyes. 4 Herbal Eye Tea Bags-These herbal eye tea bags are choked full of soothing chrysanthemum flower and chamomile. Two of the best herbs for soothing tired eyes, clearing red-painful-dry eyes, excessive tearing and floaters. 2 Herbal Bath Tea Bags-Indulge your body and mind with these soothing, stress relieving herbal bath teas. We blend our wonderful herbs with our pure essential oils then infused them into a large herbal tea bag for your bath! 1- 2 oz. French Clay Facial Mask-Clay is gently massaged onto the skin and as the clay dries it tightens the skin, shrinks the pores and helps to pull out impurities like whiteheads and blackheads. Clay masks are used for a variety of results - from cleansing, stimulating, assisting anti-aging and improving skin tone. 1- 2 oz. ProAcuMed Pearl Cream -Moisturizing Pearl Cream is made from well selected pure precious pearls, which are reduce into very fine powder. The pearl powder is then blended with rich moisturizing lotion, cooling Aloe Vera and soothing Vitamin E to give the skin a smooth layer of protection for the elements as well as the appropriate balance of both nutrients and moisture. 6 Facial Hot Stones - Warm these soothing stones in a cup of water. Test the temperature against the inside of your wrist. If not too hot, lay them gently around the perimeter of your face, along both sides of the nose, temples and forehead. After 10 minutes, use two stones for a facial massage. This can help prevent new tension lines and wrinkles from appearing. Massage does this by relaxing the muscles and by stimulating the blood vessels under the skin. This unique type of "facial" helps to draw out impurities and toxins that sit on the subcutaneous layers of skin on your face. 1- 2 oz. package of Sea Salt -Natural sea salts can be used in masks, wraps, for your bath or foot soak. 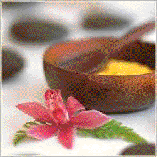 They relax, rejuvenate, and revitalize your skin, tone your body and make for a healing experience.